For illustration, there is a quartz of same weight in my previous article. Of course the moldavite looks different in reality. 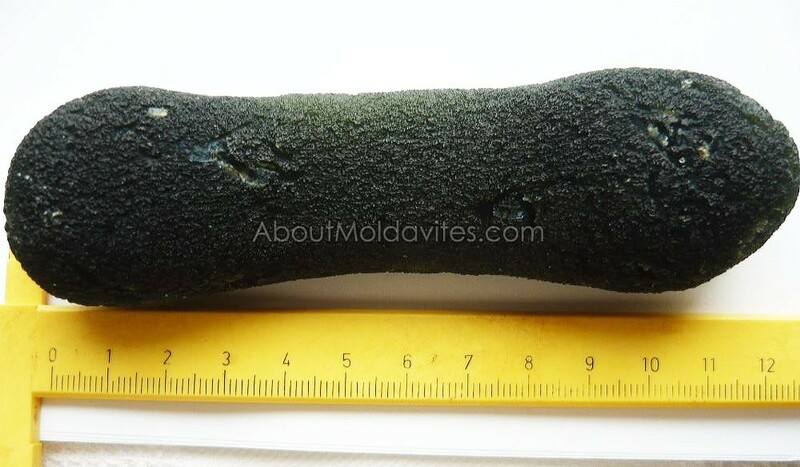 It has a dumbbell shape and that is the best thing, because this shape is the rarest among “primary moldavite shapes“. Unfortunately, I weren’t able to confirm the discovery of a 190g moldavite, which I also previously wrote about. 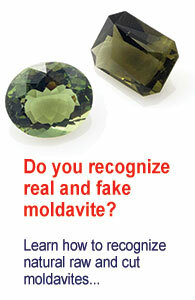 ← How to tell real and fake faceted moldavites apart? What causes the blue color in the open bubble? Would this be considered a bi-color Moldavite? Would this increase it’s value? It’s a rest of clay. If the moldavite would be a bi-color moldavite, the price would by “extreme”. If it is clay, why is it blue? The other clay on the moldavite is white. I have never heard of blue clay. The shade of blue is the same baby-blue color of the rarest, all blue moldavite. Can you explain? Thanks. It is probably a defect of lens of camera. 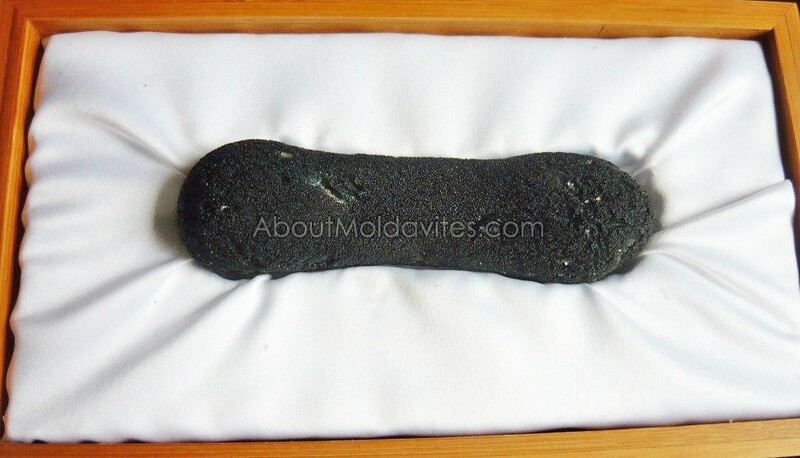 Generally color of clay is not the same on all moldavite deposits. It is to be found white, gray, greenish and blueish too.